Our company has earned accolades in providing Scaffolding H Frame. 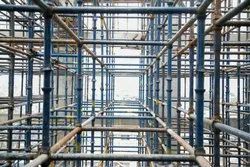 Keeping our synchronization with the developments taking place in this immensely competitive industry, we are occupied in delivering a comprehensive range of Safety Scaffold. 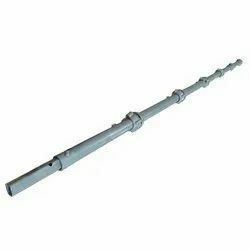 We are one of the leading firm involved in providing Scaffolding Pipe to our esteemed clients. Kwikstage Scaffolding System in Navi Mumbai. MGC: MEVA Guided Climbing is the guided climbing system comprising vertical formwork and safety platforms operated on rails. The system is lifted by a crane. Offering Scaffolding Galvanized Steel Planks with Hook; Made out from 2.0mm per galvanized steel sheet having Minimum 80 Micron zinc Coating. Light, compact and designed for fragile floor-surfaces, this type of electric platform is for indoor use. They rise to between 7 and 14 m in height (8 to 14 m in Australia). They are ultra-light and easily transportable, even in a van. Consists of welded frame of two vertical and two horizontals. The frames are interconnected by scissor cross brace through pins welded on frames and locked in position by spring clips. Bracing in alternate bays/lifts may be skipped depending on height and loading on Scaffolding. 3 ft. Long, 4 ft. Long, 5 ft. Long, 6 ft. Long, 8 ft. Long, 10 ft. Long, 12 ft. Long, 15ft. Long, 20ft. Long. We offer a huge array of pipes and tubes that are prepared using high quality of steel and alloy. The standard sizes range from 3ft to 20 ft long, that are made out of 48.3 mm od x 3 mm 40 b class pipes. GOPEC has evolved into one of the most competitive scaffolding contracting companies in India, providing scaffolding for hire or sale to both the domestic and commercial market. We are a family run business and we pride ourselves on our personal attention to each and every project we undertake.